The wonderful career of wonder mare Winx will come to an end on Saturday, where she will look to extend her unbeaten run of winning 33 races consecutively and will be trying land the 25th Group 1 success of her illustrious career. On Thursday she went for what will be her last racecourse gallop in preparation for her race at Randwick in the Longines Queen Elizabeth Stakes and it certainly was not without its drama. The seven year old was at Rosehill on Thursday going through her normal routine with Hugh Bowman on board. After, the media came out and surrounded the jockey and the equine superstar, taking pictures and interviewing the accomplished rider. After parading in front of the cameras she began to rear up and lash out from behind, which is very uncharacteristic for the mare and at one point she nearly caught her trainer Chris Waller who was standing near by. Winx unfortunately kicked a sign attached to metal railings, requiring her to undergo an official veterinary check straight away to make sure that no damage had been done and that she was fit to race on Saturday for the last time in her esteemed career. Waller blamed his decision not to put earmuffs on Winx whilst she was around a big host of people and it was believed that a rug resting on her bottom seemed to make her uneasy and cash her to lash out. 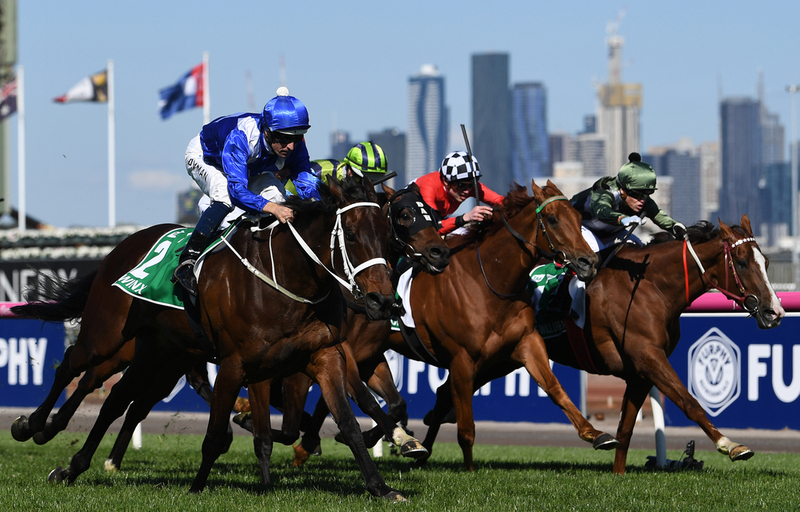 (Credit Racing Post) After Winx returned to the stables her trainer Chris Waller said: "The farrier has already called to say she is 100 per cent. "It's good that people can see how much energy she has got. I can't explain how well she is. As Hughie [Hugh Bowman] said, she has never been better." (Credit Racing Post) A statement was also released by the Racing New South Wales which explained: "Racing NSW official veterinarian Dr James Mizzi and stable veterinarian Dr Ross Alexander this morning conducted a detailed lameness examination of Winx following the mare kicking out in the mounting enclosure at Rosehill Gardens and her hind legs making contact with a sponsor sign attached to a gate. "Dr Mizzi and Dr Alexander have reported that Winx was free in her action and no abnormalities were detected. "As a result the mare has been passed fit to start in Saturday’s Longines Queen Elizabeth Stakes." This will be an emotional day for Winx, her trainer, jockey and connections but everyone in the racing world is hoping that she gives one last breath-taking performance like she has done for the majority of her career.